George and Vera Maskell were killed in 2014 when they were struck by a 7.5-tonne recycling-truck driven by Darren Sanders. The elderly couple were walking across a service road in Sunbury when they were struck. This road has a 5mph speed limit and has a give-way triangle at the end of it. 44-year-old Sanders, who is blind in one eye, was driving at up to 12mph and failed to stop at the give-way sign. Newspaper reports say that George, 81, and Vera, 80, froze as the truck was driven into them. Sanders was prosecuted for dangerous driving, and acquitted by a jury. Last week the judge gave him a suspended sentence for “careless driving”, and banned him from driving for 18-months. So far so normal – such cases are all too common, with killer-motorists routinely walking free from court, often because of the there-but-for-the-grace-of-God-go-I reluctance of judges and juries to punish fellow motorists for so-called “accidents”. What makes this particular case unusual is the public intervention of the 44-year-old driver, and his 23-year-old daughter. Both have recently contributed to the comments section of a news report of the trial. If these are genuine comments, and there’s no way to prove this, they shine a sickening spotlight on how some motorists believe they have greater rights than other road-users. Roads, these drivers feel, belong to motorists; pedestrians – and cyclists – shouldn’t be on them, and when they get hit they share the blame with any motorists who hit them. It also highlights why the media and judges are deeply wrong to call such collisions “accidents”. This is amazing, frightening and gut-wrenching. Were the fatal injuries inflicted on Mr and Mrs Maskell to have been done with a blunt instrument it’s unlikely the killer’s daughter would feel able to defend her father on an online forum. Furthermore, were the couple to have been bludgeoned to death on this service road with a club wielded “accidentally” it’s unlikely the punishment would have been so light. Mr and Mrs Maskell were crossing a service road, pulling a shopping trolley, after shopping in a Tesco store. They were heading for their own car, left in a multi-storey car-park. Rule 170 in the Highway Code states: “Watch out for pedestrians crossing a road into which you are turning. If they have started to cross they have priority, so give way.” Few motorists (or cyclists) know this rule exists, and pedestrians have to meekly scuttle out of the way, or risk being flattened, as happened with Mr and Mrs Maskell. I haven’t sat near the spot in question but with Google Streetview I can go there virtually. From photographs on other news reports it’s possible to work out the exact place where the elderly couple were so brutally killed. They were crossing a road, and Sanders should have stopped at the give-way sign. Sanders did not give this elderly couple priority because he says he did not see them. If he was paying attention he would not have hit Mr and Mrs Maskell – by not paying attention he was clearly driving dangerously but courts seemingly find it hard to convict motorists of “driving dangerously” which is why prosecutors often prefer to charge killer motorists with the lesser offence of “driving carelessly”. This is not a driver who appears to be showing remorse for the result of his actions. His daughter is looking forward to the ending of his driving ban. Darren Sanders won’t even have to do community service as per his sentence. Why? Because his ophthalmologist said his vision would not be good enough. Good enough to drive, apparently, but not good enough to do community service. At Sanders’ sentencing hearing, the Common Sergeant of London, Richard Marks QC, told him: “The real cause of this accident was not in reality speed, nor indeed your failure to observe the ‘Give Way’ sign, but the fact that you simply didn’t see them in front of you. “Had you been looking ahead of you and paying proper attention as you should have been, then you would have seen them. Despite what the judge said, this was not an accident. By his own admission Sanders was looking for other motor vehicles, not pedestrians, and was accelerating when he should not have been accelerating . According to his daughter pedestrians who walk across this road are “jaywalkers”. George and Vera Maskell were not “jaywalkers”, they were crossing a service road where there are very few motor vehicles. To apportion any blame whatsoever for their deaths is sick. Pedestrians – and cyclists – can be forced aside, unthinkingly, by nurses, nuns and White Van Man alike. Motor vehicles are deemed, by many, to have priority on roads. Might, it seems, is right. On a bicycle, or when crossing a road as a pedestrian, you often don’t register on retinas. 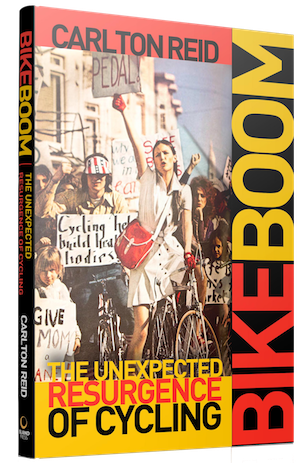 This results in SMIDSY – “sorry, mate I didn’t see you” – a phrase commonly heard by upended cyclists (and motorcyclists). When motorists do notice cyclists and pedestrians it’s often because they are perceived to be “getting in the way.”** Motorists sometimes articulate that cyclists “slow down” what they consider to be the only legitimate road users. More normally, what slows down motorists is fellow motorists but it’s human nature to scapegoat the “other”. A small minority of motorists believe they should inform the non-motorised what modern roads are for – the use of cars as weapons is well documented***. 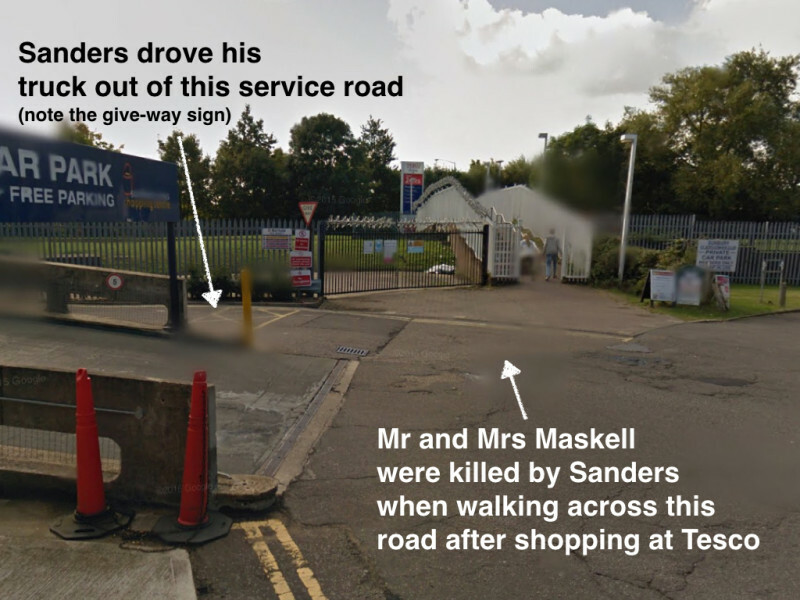 Far more motorists blithely accept that roads are for motor vehicles alone, which is why the family of Mr and Mrs Maskell – like millions of other bereaved families down the years – did not get justice. *Fighting Traffic: The Dawn of the Motor Age in the American City, Peter D. Norton, MIT Press, 2008. ** Dr. Miles Elsden, the deputy chief scientific advisor at the UK’s Department for Transport, told horrified delegates at an active travel conference in July 2013 that cyclists were guilty of a number of sins including “getting in the way.” Shifting Gears, University of the West of England, July 2nd, 2013. ***Driven to Kill: Vehicles as Weapons, J. Peter Rothem University of Alberta Press, 2008. “Violence and the car”, Helmut Holzapfel, World Transport Policy & Practice, Vol. 1 No. 1, 1995.